One of the benefits of working for PC Gamer is I get to avoid endlessly reporting about which games can run at 1080p 60fps. The answer, by and large, is all of them. In fact, thanks to some new hacks for GameCube (and Wii) emulator Dolphin, even games that categorically should not be able to run at 60fps now can. For more on Dolphin, see Wes's expansive feature on its creation. 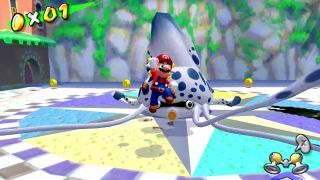 And remember: Dolphin itself is entirely legal, as none of its code belongs to Nintendo. Ripping your own games is legal in some countries, not in others. Downloading games is piracy, and totes not allowed.